THE FRONT DOOR SHOP - Out with the new and in with the old! Brian Thompson, Director of Best Doors Joinery, has been in the door and joinery industry for many years. Over recent times he’s noticed a change in preferred styles – traditional is back. 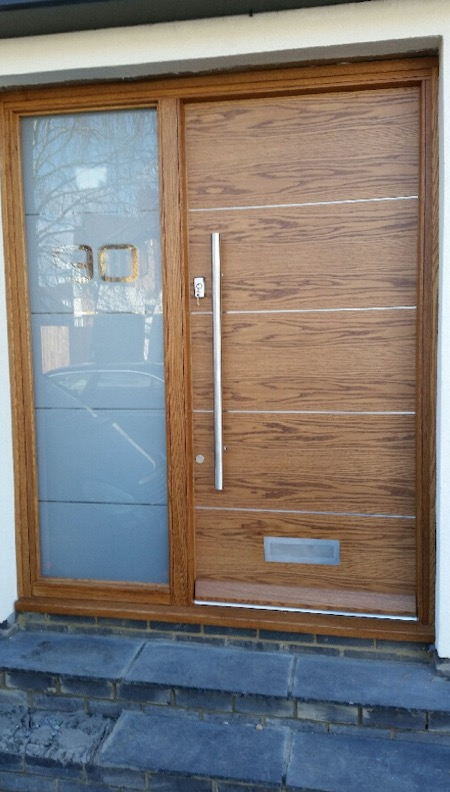 After detailed research and to mirror current trends BDJoinery decided to design and build its own top of the range front doors. 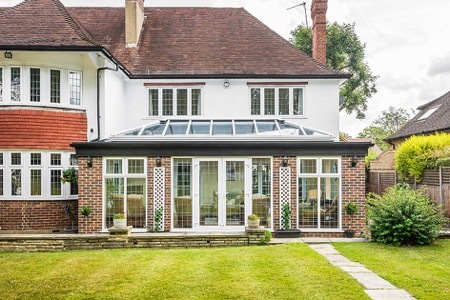 All the doors are built to exacting standards and high specifications by a team using all their experience and knowledge gained over many years in the industry. 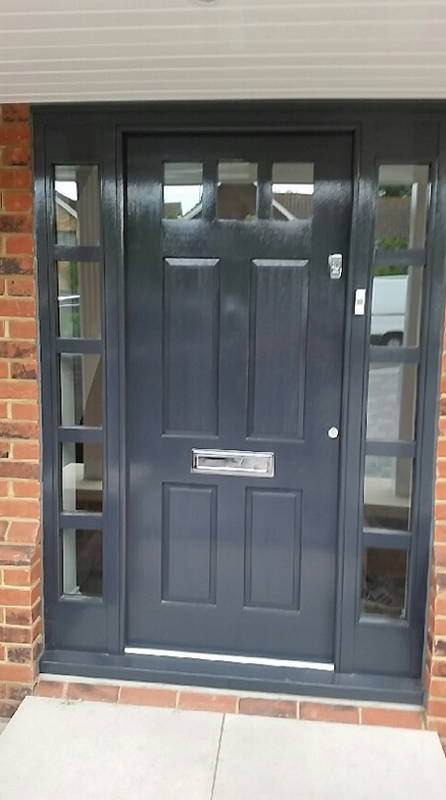 BDJoinery is able to justifiably claim that its Premier Range of front doors exceeds the quality of many, if not all others, while remaining competitively priced. This is borne out by the beautiful finished product that is designed to last for many years when correctly maintained. 1 These oak engineered doors are far heavier and more robust than many suppliers’ products. They are designed and constructed to take years of use under direct attack from the elements. 2 The door’s inner core is made from the same oak engineered wood as the outer facia. This makes the doors eco-friendly because the inner wood rather than being scrapped, is used to make the door’s core. Generally speaking the inner wood is not up to facia standard due to its dark colours and occasional knots. By comparison most other companies will use primarily soft wood. 3 On the sides, top and bottom of the Premier Oak Range are 20mm x 44mm grade ‘A’ lippings. This allows for as much trimming as is required to accommodate different sized frames and doorways. 4 The facials veneer is commonly 2.5 times thicker than many companies’ doors and the doors are often thicker than many other firms’ front doors. These are just some of the reasons BDJoinery stepped up to producing its own doors, due to it’s our belief that the quality of door builds has deteriorated over recent years. You simply won't find a better designer-quality, bespoke oak door at a more affordable, off-the-shelf price. For every tree BD Joinery use, another two trees are planted. BD Joinery is committed to the environment. Clarissa Hulse is one of the leading lights of the British textile world, uncompromising in her passion to deliver the ultimate combination of colour, print and fabrics. Catching up with Jane Pople, she talked about the secret to a work/life balance and what 2017 has in store for her brand. Clarissa Hulse today produces beautiful and luxurious home accessories, wallpapers and fabrics, selling in both top-notch department stores such as Heals, House of Fraser, John Lewis, Liberty and Selfridges and across the world in exclusive boutiques. The beginning was a popular scarf business, from which she has evolved her brand to be one of the most respected in the UK textile industry. Taking inspiration from her childhood holidays travelling across Europe, where she studied the local flora and fauna, many of her designs have a botanical theme running through them. Clarissa was born in Prague and lived in many countries growing up including Spain, Italy, Greece and even Thailand. She cites this as a driving force behind her love of vivid colour and natural design which is evident through her collections. Q Clarissa, what is your favourite part of your job and what would you change if you could? A I absolutely love it when our designs become reality – when we start receiving the first samples of a new product – it feels like Christmas and is one of the most exciting parts of the job. There are so many aspects to running a business from designing, updating the website, photoshoots, sending out orders, it’s one big juggling act and I wish I had more time to spend on each area. Q You were brought up in many different countries; how would you say this influences your work as a designer today? A We moved a lot when I was little and each time we did my mother would like to make each house homely with beautiful textiles and accessories. We would visit markets and find items to decorate the home together. She would also fill the house with plants and that has really influenced the way I work and design. Q Do you have a favourite ever design or product you have created? A I am really loving our newest collection – Filix – a tessellating, geometric fern print. It was a design that came so naturally and is very versatile. It has been adapted in a range of colourways and products, including wallpaper, bed linen and cushions. Q How would you describe your own home style? 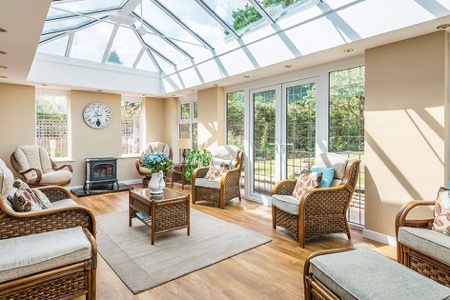 What is your favourite room in your house and why? A My style is definitely maximalist! I love old pieces that are full of character – I have collected many over the years and enjoy the eclectic look they create in my home. We have recently just moved and wallpapered our kitchen/diner with our Filix green ombre wallpaper and it looks brilliant! This room leads on to the garden, so it feels like you’ve been transported into the Palm House at Kew Gardens. Q Can you tell us what a typical day looks like for you? A Every day is different. I get my two children up and ready in the morning, take them to school and head straight into the office. Then it can be anything from shooting a new collection, discussing updates to the website, printing and sampling or organising events in the studio – or I can be out meeting suppliers or retailers. My job is so diverse, which is why I enjoy it so much. Q What is the secret to a work/life balance, especially as a mother? A Running your own business with a busy family life can be difficult at times, but it really helps that I am so passionate about what I do. I have a great team around me and owning the business gives me the flexibility to collect my children from school if I need to, or they can come into the studio and sit up at the printing table doing their homework. Balancing it all is not always easy, but we make it work. Q Who or what inspires you most? A I am infinitely inspired by nature – the evolution of plants, the different seasons and the wonderful colours they bring. Artists from the past also inspire. I find Instagram an amazing tool for ideas and instant feedback. It’s great to have a community you can engage with, and who give such a positive response to new ideas and concepts. Q If you didn’t work as a designer, what would you be and why? A Photography is a real passion of mine – so either a nature or food photographer. When I have the time, I am always out and about taking pictures for our Instagram account: www.instagram.com/clarissahulse/. Q You’ve just discovered a time machine that can take you to either the past or the future, what year do you go to and why? A From a visual perspective, I love the 1930s – all the incredible clothes and art deco. From a historical view, the 60s really interest me because of the massive social changes that took place. Q What does 2017 hold for Clarissa Hulse? A There is so much going on for 2017. 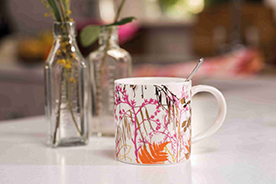 We’ve just launched an exciting collection of kitchen textiles and mugs. It is so luxurious and features a striking metallic print running through the range. 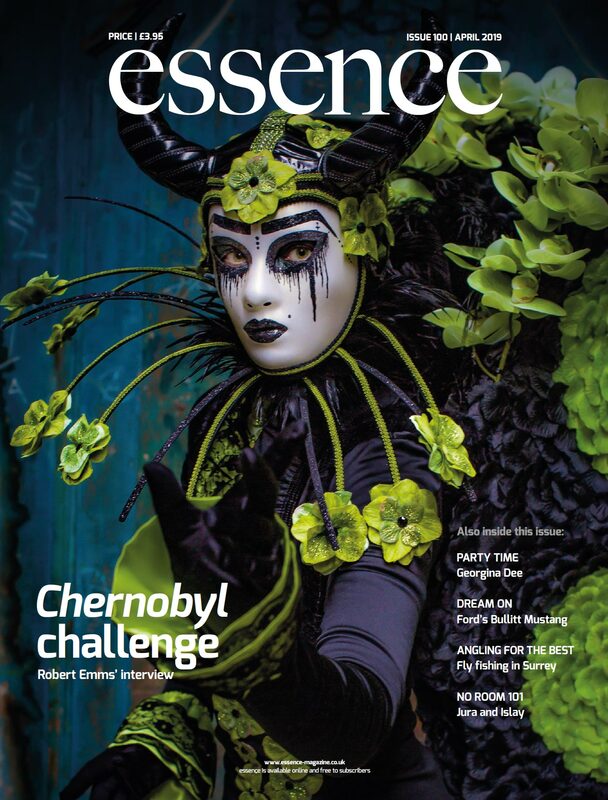 We have another collaboration with Harlequin launching in July – last year’s Callista collection was so popular, we think this will be another success. Two new bed linen collections were also launched in February, so we have lots of exciting things to watch out for. Soapstone is often overlooked in the interiors’ world and frequently takes a backseat to the more glamorous marble and granite. One company, SPARQ home, however, is rapidly altering the perception of this chalky textured stone by marketing collections of barware, tableware and cookware crafted entirely from soapstone, giving this unusual material its own time in the limelight, Emily Bird finds out more. With a name derived from its ‘soapy’ soft feel, soapstone has been mined for thousands of years and is formed at convergent plate boundaries where the earth’s crust is exposed to constant heat and direct pressure. Traditionally used in the creation of handmade ornaments, and even gravestones, thanks to the stone’s easy-to-carve properties, its modern uses include kitchen construction. It is still used to create intricately carved sculptures to this day. Established by Steven Chavez and Justin English, SPARQ home was formed when the founders discovered the wastage left from soapstone quarries around the world. The soft, carvable quality of the rock is a negative aspect in the mining stages as, when drilled, soapstone breaks into smaller pieces often too small for many of the industries that require it. On learning of the extensive waste of this undervalued and incredibly useful material, Steven and Justin set about transforming the discarded stone into beautiful and impeccably stylish accessories for the home. 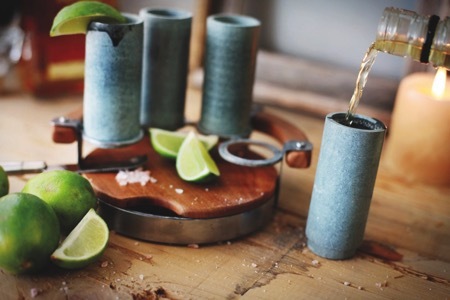 Boasting a host of beneficial properties, soapstone is one of the best natural materials for conducting and maintaining temperatures, making it fantastic in the making of serveware and barware. Both non-porous and non-absorbent, it is ideal for serving food as it will not stain and the stone’s resistance to acids and alkalis also make it a wonderful material for drinking vessels. Soapstone is a rock and its mineral composition can vary. Its composition depends upon the parent rock material and the temperature/pressure conditions of its metamorphic environment. As a result, the physical properties of the soapstone can vary from quarry to quarry and even within a single rock unit. SPARQ home has developed a wide collection of home accessories to take advantage of soapstone’s quality of retaining both cool and hot temperatures with ease. 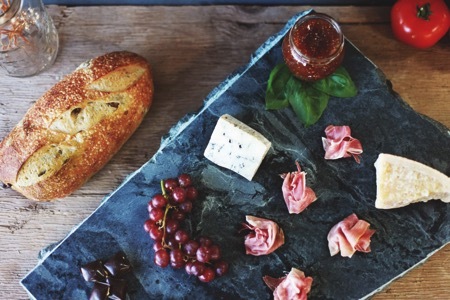 From oven-to-table platters to pizza stones and serving slabs, keeping meals warm at dinner parties is a simple task, and each piece can be cooled to transform the items into serveware for chilled cheeses, charcuterie and desserts. Whiskey rocks, increasingly gaining in popularity as a way to chill drinks without watering them down, are also available, with the soapstone holding the cold temperature much longer than other forms of ice replacement. 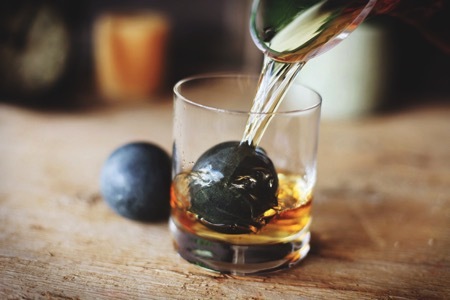 Whilst the classic square rock shapes are available in both large and small sizes, whiskey spheres can also be found which offer a design-led addition to a favourite cocktail. SPARQ home’s collection is now available at Amara. Originally, SPARQ home was founded on a mission to preserve nature’s soapstone quarries across the globe. In most quarries, up to eighty per cent of all soapstone mined is deemed waste or scrap material. For businesses such as kitchen construction, large, flawless slabs of soapstone are hard to come by with each cut of stone evaluated and claimed as scrap or useful. When making large cuts of stone, the scrap far outweighs the useful slabs. As such, these blocks of scrap stone are left behind, lining the roads of the quarries. From an aesthetic view, the blocks of stone destroy the landscape of the quarries and from a pure environmental angle, these blocks are left to die, wasted on the roadside. In an effort to regain control of soapstone waste, and make useful a stone that has so much to offer, founders Steven Chavez and Justin English have set out to clean up the disastrous quarries worldwide and find a purpose for the discarded soapstone. This is where SPARQ home was born as Steven and Justin turned to the stone’s natural properties of maintaining warm and cool temperatures. Building on the success of the company’s soapstone product line, Steven and Justin expanded into stainless steel, bringing the same level of sophisticated design and usefulness to entertaining ware.